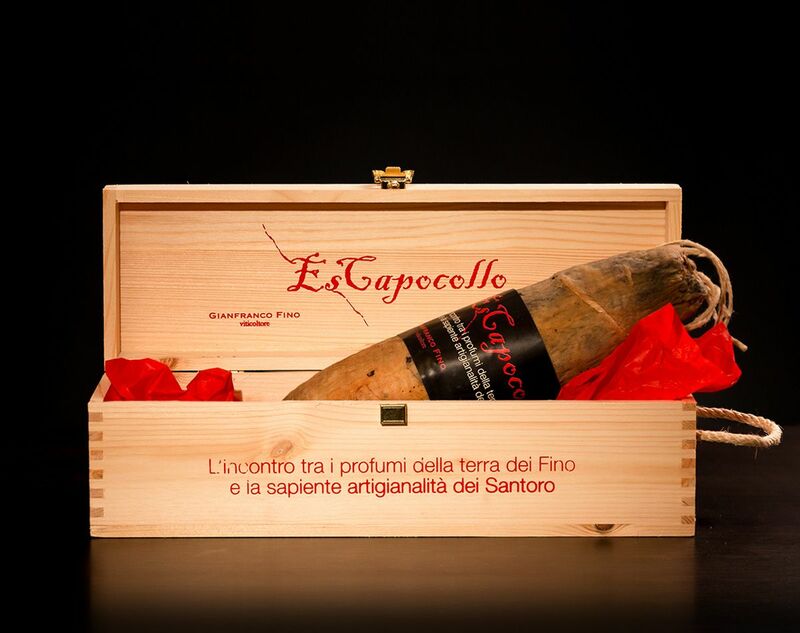 A new product born from the meeting of two minds, two attitudes to the spasmodic research of quality, the fruit of a pact of friendship and respect: Giuseppe Santoro, whose Norcia wisdom became known with the Capocollo of Martina Franca, and Gianfranco Fino, father of the most famous Manduria primitivo wine in the world, Es. 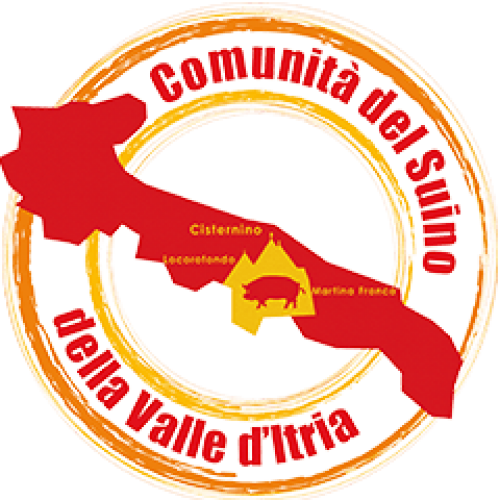 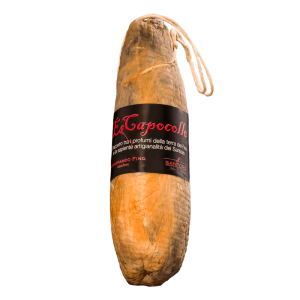 Es Capocollo is produced only in September, when the primitive pomace freed from the must five days after crushing, cover the capocolli for 30 days. 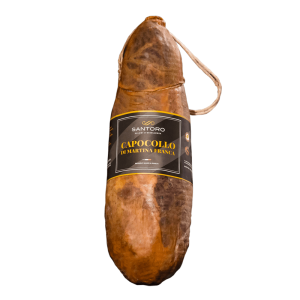 Bagging in natural casing, hand binding and maturing for at least 9 months are the other simple ingredients of this quality food and wine sausage, which is produced in only 500 pieces. 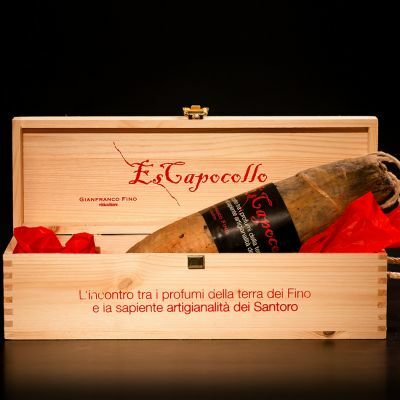 This is how, from the best primitive wine of Puglia and from a selected local raw material, a unique capocollo is born, which combines the scents of the land of the Fino and the skilful craftsmanship of the Santoro. 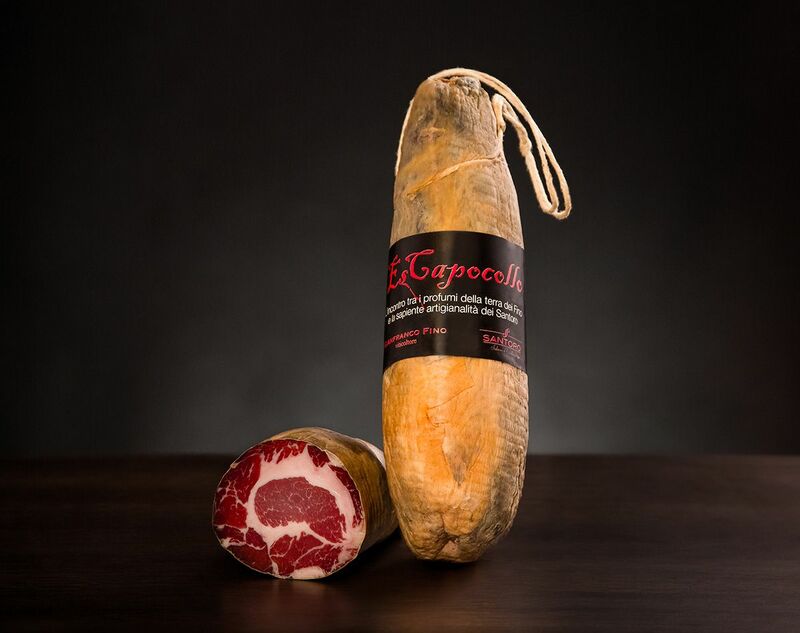 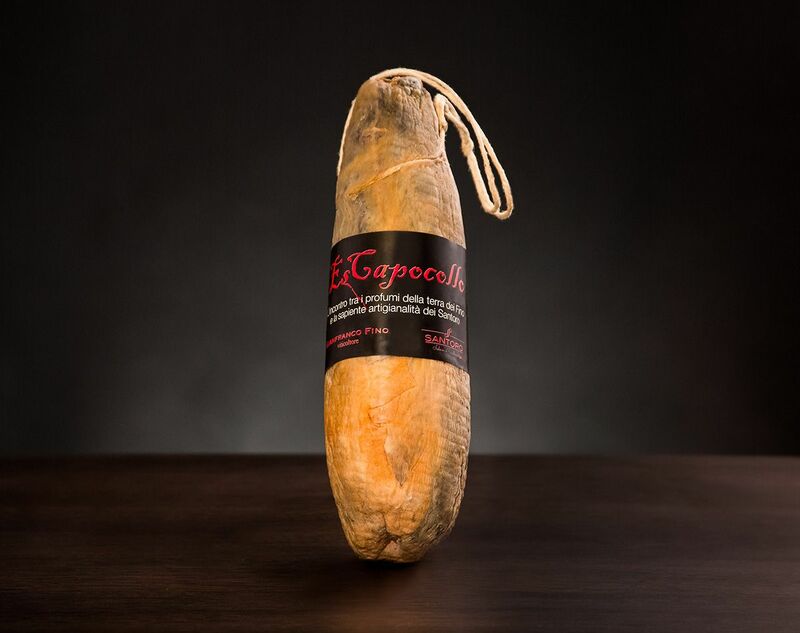 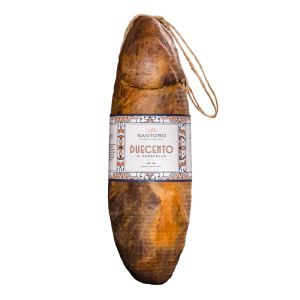 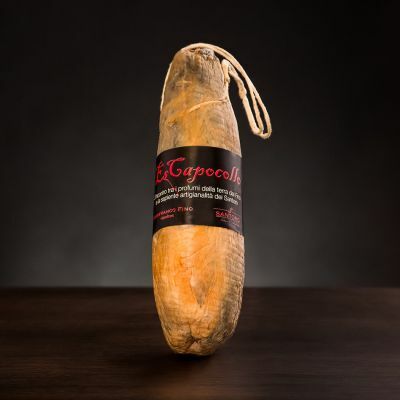 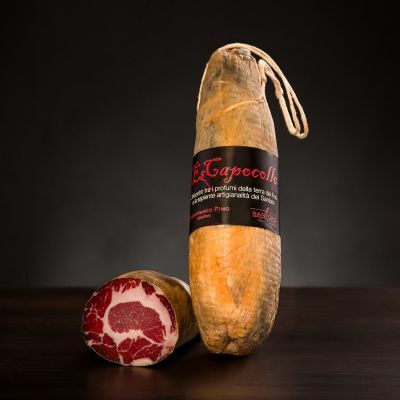 Store the Es Capocollo in a cool and dry place, consume within 6 months from the packaging date.